For thousands of years men have strived for a deeper walk and understanding of the Lord. 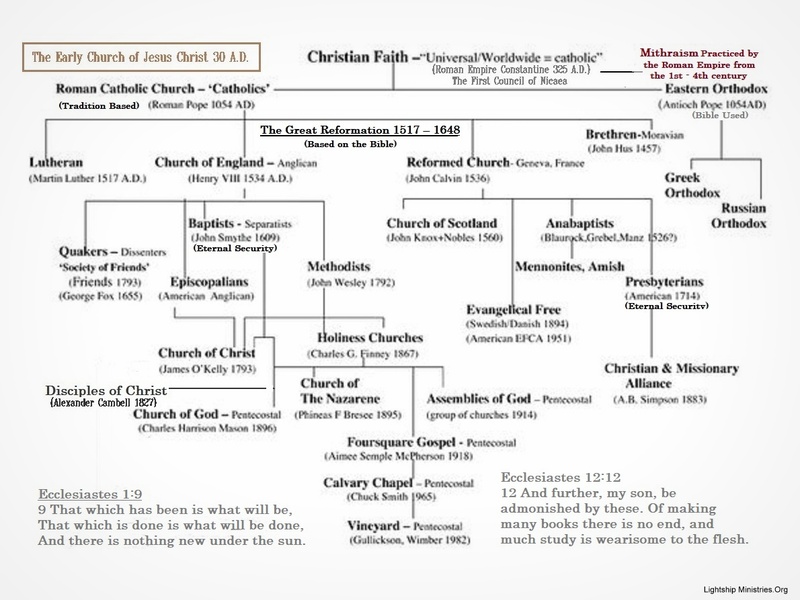 As this basic chart of church history shows, it is full of competing ideas of how to obtain that walk. The Holy Spirit is “the teacher” which Jesus spoke about teaching his disciples, and he always teaches us on a personal level, of what we are to receive in that moment. The Holy Scriptures are “but confirmatory” of the Holy Spirit, who God is, and how he works: so we should always read the scriptures prayerfully in order to be shown greater truths. The problems arise when men try to take the Lord and have him conform (or fit) into their personal beliefs; instead of simply following him in obedience, like we were designed to do! This is simply what the flesh does, no matter how you dress it! I have taken a couple of verses from Ecclesiastes in the publishing of this graph to show that basically humanity has always fallen into the same doctrinal traps since the beginning of the “church age”, so that no one should be surprised if they hear some type of retread as exhibited here! If one so chooses to live their life of faith (by the Holy Spirit) yet without an understanding of the past, and sound doctrines (as written in the scriptures); it certainly can be done by the Grace of the Lord alone; yet it is better to be enlightened by others errors who came before us, than us making them all ourselves, and having to learn most by trial and testing. Yet it seems that each new generation must “taste of and learn anew”; only that which the brethren who have gone before us once learned and understood. My advice is to seek the truth (Jesus Christ – who is the truth) in all that you do, and when unsure if you are walking right; use the “owner’s manual” (Bible)! In the end days many will be deceived by false teachers, and those who tickle our ears; so the only way to avoid these false brethren is to hold their teachings up in the light of the scripture, which our Lord has graciously provided for us (the people) with the invention of the printing press and of the Reformation! Of course, we did not receive the scriptures to become scribes and Pharisees or false teachers, but rather to examine our own walks as the Lord be pleased to show us as we grow. Apostles, Prophets, Pastors, Teachers and Evangelist are all ministry giftings are given of God. Yet Satan is very capable in stumbling our understanding and “twisting truth” as the father of lies: so we must seek to supplement our understanding, and properly identify heresies’, so as not to perish (be deceived) for lack of understanding about the Lord. Never think that you have discovered a new a “prescriptive religion” which has never been followed since Jesus Christ; as it is likely a type of belief system that has been tried before, and you may be entering into apostasy unknowingly! And always remember, Salvation is by Grace alone, not works! Just stay the course while walking in the Spirit of the Lord, and when using discernment. Allot is said today about discernment, yet discernment is always in accordance with the scriptures, if it is of the right spirit. Religious zeal although thoroughly believed by any honest brethren, must also be tested as in test the spirits of 1 John 4 ; in determining who is following Christ, as opposed to those who are deceived by another spirit. On a bigger picture, since you are saved by grace it is only grace that will lead you home. 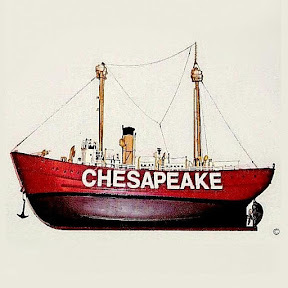 I think of it as a ship whose compass setting is fixed upon Jesus Christ. Despite calm seas or roaring gales, the compass remains fixed, and unless you interfere with the settings, the ship of your life will remain on course unless you wilfully change course to a different heading; your maintained relationship with the Lord towards a deeper relationship with God will continue, simply because of the Grace in sending his son to us as we move forward in holding fast to the rudder of our lives.. I have experienced many others trying to tamper with my heading, but ultimately when I return to “the Keeper” an old seafarers term much like – the Captain of my Salvations, it is he who will make the reset in my life! The Spirit of Antichrist, is not against Christ per say, but rather a counterfeit or close look alike to actually walking in Christ. Many well-meaning people may even use the allegory of an antichrist simply because they may disagree with what is being taught! This is where we enter into different type of teachings on how to follow Christ. As I have said before, and have shared with many, Hebrew style witchcraft uses the scriptures to gain power. The Spirit of antichrist does much the same, so it is imperative that we understand good doctrines when held up to the light of scriptures as a whole, and not cherry pick from those verses which suite us. Towards the end of the age, the Bible warns us that men will do what seems right in their own minds, and this is inclusive of many who claim to be followers of the truth, (who is Jesus Christ) within us. Feelings can often be confused with discernment, (like feeling the compass is off – when it is not) so it is imperative we have a proper understanding or balance of the scriptures within our minds. If we do not, than “Confirmation Biases” of others can than cloud our understanding. 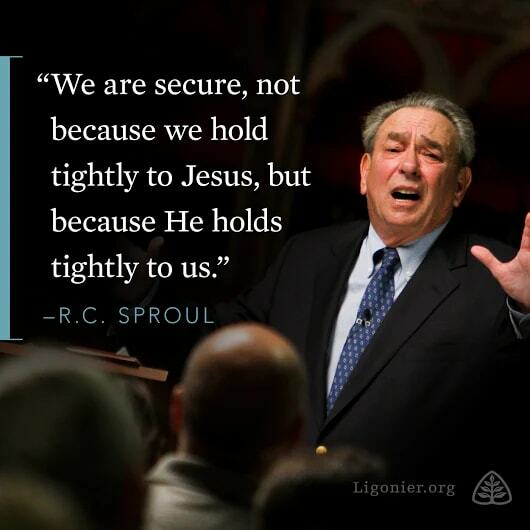 One of the biggest problems in understanding the scriptures is our concept of Grace. Grace is just that, the grace of God, (which is spiritual) which surpasses our natural understanding in thinking we have to do something to remain in “good favor” with the Lord (so to speak). It is a lie! If we are saved from sin and ourselves by an ongoing sanctification because of grace, what makes anyone think that they can add to what has already been made complete in Christ? The Galatians did this, adding to the completed work of Christ on the cross in observances and different practices. Paul said that having started with Christ by Grace, are you now made perfect by the flesh? He went on to say who has bewitched you? Many of the problems arise today because of “Biblical illiteracy”, and people following men who are posing as Shepherds to the flock (antichrists). Yet eventually if we are being moved into greater sanctification by our Lord, (even though by struggle) any confused sheep with a love for the truth (Christ) that they might be saved, will move beyond the deception in understanding and becoming more Christ like, in being conformed into his image by the grace of God. If anyone thinks that they are capable of pushing forward of this work of sanctification in the flesh, (even when using Holiness doctrines) they are acting independent of God, as he alone is the one who saves and sanctifies us from sin (by Grace) and no one else, despite how devout they may be! Even this devoutness to the Lord, when applied independently of his leading – is based in the flesh, which technically is based in sin, as sin is based in independence. Antichrists move in independence from the Lord in leading others astray, and always away from Grace – as they are not “with him” and are failing to submit to the simple prodding of the Holy Spirit to be still, (or even more profoundly put) to be as dead. To be “as dead” takes crucifixion of the old man within us, not of ourselves but in YIELDING to the workings of the Holy Spirit within us. However, legalism and pride will never allow for this simple yielding to Christ, as the flesh is at war against him, as it does not wish to be put to death on the cross (metaphorically speaking)! One of the toughest type of people (antichrists) to overcome, is that of one who is deeply knowledgeable about the Bible and the Spiritual world, and who has the ability to convey his thoughts well to others, yet refuses to be conformed to Christ’s image himself! This may not be noticeable on the surface to one who is well groomed in this type of ministry, and also the Lord himself may still be doing an ongoing work of sanctification in the brother. So, he too may be blind (cannot see) his own error. Yet what is even more dangerous is one who has doubled down in his own understanding and will not be moved, just like the religious’ leaders of the past Jesus was always in opposition with. When I was in Equal Opportunity school, people like me (Christians) were referenced as “Die Hards’”. Some Progressive have even stated that “Christians” were the biggest threat to their progressive goals and values. Nowadays I would have a hard time within my soul, of accepting the morality (or lack of) exhibited, and pushed for by political activist groups within the last 50 years. I’m not saying that I couldn’t function, I’m just stating my personal perceptions in how the world has changed, and in my view now call evil good, and good evil! The traditional family structure is at the root of these attacks, the man who used to be the provider and protector of his household. This is how the creator of the universe, and man and women intended it to be; yet the western male has now become emasculated in even calling it “his household”, or in trying to exert his position as head. After WWII the United States had a teacher’s shortage, and to fill this shortage many “progressive socialists” from Europe came into fill the ranks. We used to call them Humanists, as they did not believe in a God. Today most call them “cultural Marxists” in identifying their political slant; but no matter, they certainly are anti-God in all that they teach and do. These humanist were most active in the 1960-70’s in breaking down the Christian informed ethos within the family (which they loath). The results of their teachings can be seen around the globe now, and they are experts in the manipulation of language ensuring that eventually everyone will adhere to their dogmas, without any thought to what has occurred in generations before. Also targeted is re-writing history, and the buying up of National Geographic, and any other media mediums as an as example, which might present a different viewpoint from the past. Even the History channel as another example now glorifies and promotes the LGBT struggle as righteous, and attacks the old Christian informed value system enforcing the roles in the family as bigoted, sexist, and intolerant. It is a total and ruthless “reboot” of society and any traditional “Godly” values these activist perceive in standing in their way! The rhetoric of these leftists idealists love to invent words such as “Homophobe, Xenophobe”, and of course sexist in an attempt to overthrow any thought process that is not “all inclusive” of every people and every culture, and primarily targeted at the west. In not making this article too long, I wish to say that despite me being taught that men were the protectors of women (and children); the feminist and homosexual lobbies have not only gained access to the once straight male dominated military, but indeed is in the process of eliminating all conservative thinking “western” males which are perceived as resistant to the change. The women, used to be treasured above all else, by men who would risk their lives in protecting them and the home front so that they might have families healthy to return to once the threat was neutralized from abroad. It gave most men strength and purpose, for a nobler cause than themselves, which was constantly on most of their minds, when not in the heat a battle, and something grand to return home to after the war. I am nearly 60 now, and all you have to do is ask any WWII veteran, and most will tell you that is what they thought about most. Nowadays it is understood that most young men don’t even have the hope of raising a family or having a devoted wife, it seems this dream for many is just too far gone into the past to do so. Yet this is exactly what the progressive humanist in their viewpoint of a utopia for the world had envisioned! The all-inclusive worldview of today, is thought to be the best there is in our “evolution” towards perfection, and sin is scoffed at as being almost superstitious rooted in a belief in God. So, how’s that working out for “modern man”, (oops I mean humankind) ? I think it is a turn towards the lowest common denominator within humanity, which is ruled by sin and rebellion against God. Yet these progressive activist only dream of erasing any precepts (and people) holding on to these old “die hard” values, which were once nearly universally understood at least in western cultures! No, nowadays, it is “apologize for the white man” and all the Christian informed dogmas in orthodoxy which were once practiced by the west. Right at this point, the Psalms do something else for us, and it is utterly crucial what they do. It’s not in the middle of the Bible by accident. Oh, what a precious, precious book. Can you live without it? Can you live without the Psalms? Can you survive without the Psalms? Can you fight for joy without the Psalms? I have no idea how anybody survives without this help that God put in the middle of our Bible. They do something else for us. They keep us from being naïve, from having a naïve optimism about the emotional possibilities of fallen people. And they help us navigate the seas of embattled emotions. When we’re born again, the Spirit of God opens the eyes of our hearts to see God — to see Christ, to see his beauty, his glory in the cross, in the gospel — as more valuable, more precious, more satisfying than anything. That’s how you become a Christian: you see him that way. However, it would be, the Psalms make plain, naïve and unbiblical to think that our gaze on the glory of Christ remains so clear to the end of our days, and that the responsiveness of our heart to that sight of glory remains so intense to the end of our days that the Christian life is one of unclouded vision of God and unhindered joy in God. That happens for nobody — except one person, and he is in heaven. The Psalms, more than any other book in the Bible, illustrate that sobering fact. The psalmists’ vision of God is often obscured. The psalmists’ joy in God is often conflicted and embattled. I am lonely and afflicted. and have scattered us among the nations. . . . This is why we cleave to the Psalms. They are us. Pain. Loneliness. Affliction. Trouble. Guilt. Burdens. No health. Cast down. Turmoil. Shame. Moaning. Weeping. Nights flooded with tears. Are you in the world? That’s us — unless we’re utterly hypocritical. Now if some soft prosperity preacher responds and says, “Whoa, that’s pre-Christ. That’s pre-Pentecost. We live on the other side of Christ — the other side of the fullness of the Holy Spirit. We don’t walk in that kind of defeat and misery,” I say, “Then why did Paul say, ‘I have great sorrow and unceasing anguish in my heart’” (Romans 9:2)? Unceasing anguish in the heart of the man who said to rejoice how often? Always (1 Thessalonians 5:16). Go figure. This is the miracle of the Christian life. “Unceasing anguish. My kinsmen are perishing. What do you expect me to feel?” Rejoice always. Can you do that? Yes, you can if you are indwelt by the Holy Spirit. It’s not easy. It’s a miracle, but you can. There’s no way to survive without that. Why did Paul write, “We are treated as impostors, and yet are true; as unknown, and yet well known; as dying, and behold, we live; as punished, and yet not killed; as sorrowful, yet always rejoicing” (2 Corinthians 6:8–10)? That’s my favorite phrase. O God, thank you that that’s in the Bible. Sorrowful, yet always rejoicing — that’s the goal of my life. I’ve got so many sad things in my life I can hardly stand it some days. And I’m told to rejoice always, but not only always — in everything. “Sorrowful, yet always rejoicing; as poor, yet making many rich; as having nothing, yet possessing everything” (2 Corinthians 6:10). I love Paul. Back during the age of steam, if you were down wind of the locomotive smoke, it was considered the wrong side of the tracks. Nowadays it is a neighborhood which is poor, and goes largely unsupported by money. Such a neighborhood I used to fellowship in, with one of the Godliest men I have ever had the pleasure of knowing. The man was also a genius and the most well-read man I have ever known, specifically when it came to Bible understanding. Dr. Gross was rarely accepted by who he used to call the “middle class church system” or the “Ivy League”, in which I was born into, yet rejected by for having substandard learning abilities now commonly called dyslexia. I thank the Lord he has decided to use to simple things of the world to confound the wisdom of the wise, as the ones who are to show his glory by contrast, to the ones who are established in the world by natural means. Pastor Gross (as I called him) was not your everyday Churchman, but rather a man of God who was converted out of occult science. He later became one of the two top exorcist in Baltimore City, MD. The other was a Police Officer in the 1970’s. His “Christian” name was (the late) Dr. Michael W. Gross D.D. ThD. PhD. Also having 23 years in seminary, and once the presiding president of a Bible College. I am writing this testimonial today to this man, who was always a defender of the faith, and a defender of me as well. He used to tell me if ANYONE had a doubt about my walk with the Lord, (or in understanding how he functions) send them to him for some straightening out! Well, that never happened, but the man was certainly devoted to anyone whom he had instructed. Yet for me, (not being an academic) it took me 20 years after studying under Dr. Gross to finally receive my reformed minister’s accreditation, for the work I had performed under his tutoring by the (old style) Baptist. This did me little good it seems, as nowadays I have discovered that the only ones willing to be admonished, are the ones who truly have a humble heart in the Lord. Most are like a bunch of Pharisees who will not take instructions by principled men of God, whom hold a proper understanding of the scriptures coupled with an understanding in how the Lord functions spiritually. Many, many, even devoutly men of God either refuse to see, or cannot see their own shortfalls! This is why the proper assembling of the body of Christ is so needed. I see this problem as an ongoing one (especially in an age of strong delusions) as men (and women) can become “heady” and not open to reproof nor correction. When Jesus spoke there was no questioning of his authority as he was the perfection of God incarnate, yet many only wished to kill him. The problem arises when mere men try to emulate Christ within fallen humanity. I believe that this is why humility is so very important, rather than being a “know it all” which is based in pride rather than love, and is the very sin which Satan was most guilty of in causing his fall. I try to be most selective in whom I reveal the deeper levels of my soul with, including (the things of God) as it is important in protecting one’s heart. In contrast I have also discovered that the ones you may fellowship with may indeed turn against you, simply because of their perceptions, or even twisted truths (lies) which are provided by Satan to the unsuspecting brother or sister within any given fellowship; this does happen if not extremely careful, in not confusing their theology with spiritual realities, and deceptions. This is why a proper balance of the scriptures must be not only understood, but indeed practiced. Any “Cult” (if you will allow me to use that word) is normally based on some knowledge of the scriptures, but the twist comes when not applying them appropriately. Dr. Gross taught me that “Hebrew style witchcraft” was based upon this concept of using the scriptures; yet purposely twisted for the purpose of securing powerful demons for power, in furthering their careers of dirty works in moving up. This is exactly opposite in how a believer in Christ is supposed to function. This is an extreme example of why proper Bible knowledge is needed when teaching scriptures, and sound doctrines of the faith. I am not a Bible teacher per say, yet I have enough Bible knowledge and experience in the Lord in recognizing when someone has gone off track. Two things happen when one is emotionally invested in people who misread the scriptures or oneself. Either you are deeply wounded by being shunned (like in the Amish community as an example) or you are elated for a time in being accepted by the gathering. 4 I charge thee therefore before God, and the Lord Jesus Christ, who shall judge the quick and the dead at his appearing and his kingdom. 2 Preach the word; be instant in season, out of season; reprove, rebuke, exhort with all long suffering and doctrine. 3 For the time will come when they will not endure sound doctrine; but after their own lusts shall they heap to themselves teachers, having itching ears; 4 And they shall turn away their ears from the truth, and shall be turned unto fables. This is a prime example of why it is so important to understand good doctrines. If not, you run the risk of deceiving those around you who are more vulnerable to misguided teachings. It is my personal belief that the “time has come” when even the best meaning among us can exemplify our misunderstanding of the scriptures, and customized dogmas in deceiving many. This seems to be a “sign of the times” in an age of strong delusions, and even the elect would (could) be deceived – if it were not for the Holy Spirit himself reproving and correcting us on a personal level. This is why many churches only stick to the orthodoxy of what they call Bible believing churches, and seem to have an aversion to Pentecostal and Charismatic type teachings. Not because it is a “bad thing” but because so few people understand the proper functioning of the Spirit of God (the Holy Spirit). Understanding the “spirit world” is complex and complicated, (if not impossible) to the natural mind, and it takes years of experience of the Lord (by the Holy Spirit) to teach a man to walk in a manner which is in accordance with the scriptures, and edifying to the sheep. The problem is that “natural man” can teach scriptures to nearly everyone; the wheat and the tares alike. So many simply “sign up for Jesus” with the hopes of fire insurance, yet whom the Lord has never done a work within! These are false brethren, and even the same type false brethren who threatened the life of the Apostle Paul. Within the leadership, we must do the best we can to discern 1 John 4 so that we can tell who is of the Lord, and who is not. However, it is the Lord who will ultimately separate the weeds from the wheat in the world, and the world’s church. If we go trying to do the separation ourselves, we may injure and even destroy part of the wheat! I will simply say that I have learned this lesson the hard way, by being uprooted by those who see themselves as spiritual authorities, but have not the authority, (as the Father alone does) and who attempt to try to rip and tear amongst the tangled roots, thus hurting those who are grounded in Christ. So let us be careful not to make rash judgments towards others by what we may merely perceive to be truth. Having learned sound Bible doctrines have always kept me from falling into disrepair, even by the strongest and most eloquent teachers, who have decided knowingly, or unknowingly to vary from the sound doctrines of the faith. Some of the Dangers of “Lordship Salvation”, and other beliefs systems. I may be deceived (in and of myself) for a short time, yet the Holy Spirit within me is never deceived. He will teach me experientially and practically greater truth: even with the pitfalls or deceptions of the enemy, specifically when dealing with other people’s Biblical understanding (which for a season) I may find comfort or even discomfort with, yet in time I am moved to an even greater understanding. For me, this is not a four brained calculated thing at all, but rather an intuitive one, which later only reinforces my understanding of scriptural doctrines from dogmas. The reason is, it is not of my natural intellect (understanding) that I rely upon, but rather the Spirit of the Lord, “the teacher” whom Jesus promised would reveal all truth. In other words, it is not simply a doctrinal position which I may hold but rather a reliance upon the Lord himself, just like a small child. Recently, I have known some brethren who hold to the same passages in the scriptures I also hold to, and claiming to be following the leading’s of only the Holy Spirit; yet our (spiritual) positioning seems to be in direct conflict, even while hurling condemnation at the opposing faction! I am a retired soldier, and my personality is such that I am used to people shooting arrows at me, but what I cannot abide is disgruntled brethren redirecting their fire upon an innocent person, who may happen to agree with me! I have been told things like “ I don’t do accusations, as that wouldn’t be Godly”: or that “I am the one” who crushes the “tender shoot” ( the young believer) so on and so forth, in customizing the scriptures to fit into their own belief system, thus justifying themselves and excluding those who take issue with them. That type of behavior is neither spiritual nor scriptural, but is rather manipulative and extremely dangerous, to both those who engage in it, as well as to people that are taught such deceptive reasoning. Imagine those who claim such a superior walk in the Lord Jesus Christ, in attacking those who may agree with me (even if I was wrong in my doctrine) as having left the Lord, or siding with “The Enemy” (Satan)! Do not children stumble and fall? Do not children misunderstand the bigger world which is around them? The answer of course is that children are not held to account like an adult, nor disowned for what they do not understand! These type of attacks are only valid however, provided I have been guilty of misleading or corrupting them (the tender shoots) in some manner, who are “unspotted and innocent” so to speak in the eyes of God: which I don’t believe I have done in the least. Anyone in leadership who would assert such a position against another, should make darn sure it is by the direction of the Lord, and not on behalf of themselves that they do so; especially if the one they are condemning is seen as blameless by the Lord, in holding such an opposing position! Even David would not attack Saul who was later out to kill him, as he was God’s anointed for a season – even though David was unquestionably in the right and to be the next King, David would not move in attacking Saul. The late Dr. Gross, (who taught me in street ministry while still in my youth) would tell us “don’t believe anything I tell you, go back to the Lord and check it out yourselves”. This is because anyone with a more convincing manner or intellect or speech, can easily fool the flesh into believing what they wish them to believe! Yet the Lord’s Holy Spirit within his people, will not be deceived by “false teachers” as He is “fool-proof” even though we are not. I have learned a new level of deception in all this, sound Bible doctrines being used to paint ones position in Christ as righteous, while condemning those who will not be taken-in by such powerful delusions of self and others. This is most tragic (I can’t think of anything worse) as being deceived at this level and deceiving others, yet it appears to me to be most common to those who think themselves above reproach! I had even shared with the elder, that the most powerful forms of witchcraft are those which use the scriptures (as in Hebrew style witchcraft) that I had learned from the late Dr. Gross, who in my opinion was the most transcendent Man of God I have ever met, or probably I will ever know… although he too was fallible within his own understanding. Having said all these things, I still love these judgmental brothers – not because it is a commandment of Jesus, but rather as it is but a second nature in having Christ within me, that I do so. I have said I will pray for them, and I will as long as I am led to do so within my spirit.